"Elba Island" redirects here. For other uses, see Elba (disambiguation). Not to be confused with Elbe or Ebla. Elba is the largest remaining stretch of land from the ancient tract that once connected the Italian peninsula to Corsica. The northern coast faces the Ligurian Sea, the eastern coast the Piombino Channel, the southern coast the Tyrrhenian Sea, and the Corsica Channel divides the western tip of the island from neighbouring Corsica. The island itself is made up of slices of rocks which once formed part of the ancient Tethyan seafloor. These rocks have been through at least two orogenies, the Alpine orogeny and the Apennine orogeny. The second of these two events was associated with subduction of the Tethyan oceanic crust underneath Italy and the obduction of parts of the ancient seafloor onto the continents. Later extension within the stretched inner part of the Apennine mountains caused adiabatic melting and the intrusion of the Mount Capanne and the La Serra-Porto Azzuro granitoids. These igneous bodies brought with them skarn fluids which dissolved and replaced some of the carbonate units, precipitating iron-rich minerals in their place. One of the iron-rich minerals, ilvaite, was first identified on the island and takes its name from the Latin word for Elba. More recently, high-angle faults formed within the tectonic pile, allowing for the migration of iron-rich fluids through the crust. The deposits left behind by these fluids formed the island's rich seams of iron ore. The terrain is quite varied, and is thus divided into several areas based on geomorphology. The mountainous and most recent part of the island can be found to the west, the centre of which is dominated by Mount Capanne (1,018 metres/3,340 ft), also called the "roof of the Tuscan Archipelago". The mountain is home to many animal species including the mouflon and wild boar, two species that flourish despite the continuous influx of tourists. The central part of the island is a mostly flat section with the width being reduced to just four kilometres (2.5 miles). It is where the major centres can be found: Portoferraio, Campo nell'Elba. To the east is the oldest part of the island, formed over 3 million years ago. In the hilly area, dominated by Monte Calamita, are the deposits of iron that made Elba famous. Between Poggio and Marciana, at the foot of Mount Capanne, is a spring called Fonte Napoleone, known for its quality. The climate of the island is predominantly Mediterranean, except for Mount Capanne, where winters tend to be moderately cold. Precipitation is concentrated in autumn and comprises a normal rainfall. The island lies in the rain shadow of the large and mountainous island of Corsica, so precipitation totals are somewhat reduced from the mainland (most of the island receives less than 750 mm (30 inches) annually). Snowfall in winter is rare in the lowlands, and melts quickly. The table below shows the average temperatures for the islands by month. The island was originally inhabited by Ligures Ilvates, who gave it the ancient name Ilva. It was well known from very ancient times for its iron resources and valued mines. The Greeks called it Aethalia (Αιθαλία, "fume"), after the fumes of the metal producing furnaces. Apollonius of Rhodes mentions it in his epic poem Argonautica, describing that the Argonauts rested here during their travels. He writes that signs of their visit were still visible in his day, including skin-coloured pebbles that they dried their hands on and large stones which they used at discus. Strabo (5.2.6) presents a slightly different account: "because the scrapings, which the Argonauts formed when they used their strigils, became congealed, the pebbles on the shore remain variegated still to this day." The island was invaded by the Etruscans and later (after 480 BC) by the Romans. In the middle ages, it was invaded by the Ostrogoths and the Lombards, and then it became a possession of the Republic of Pisa. 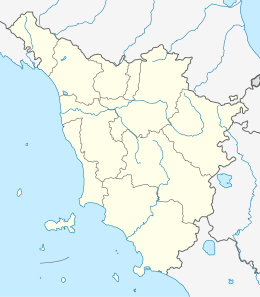 After the battle of Meloria, the Republic of Genova took possession of Elba, but it was regained by Pisa in 1292. The island was retained for two centuries by the Appiani family, Lords of Piombino, when they sold Pisa to the house of Visconti of Milan in 1399. In 1544, the Barbary pirates from North Africa devastated Elba and the coasts of Tuscany. In 1546, part of the island was handed over to Cosimo I de' Medici, Grand Duke of Tuscany, who fortified Portoferraio and renamed it "Cosmopoli", while the rest of the island was returned to the Appiani in 1577. In 1596, Philip II of Spain captured Porto Azzurro and had two fortresses built there. A part of Elba came into the power of the Kingdom of Naples through the State of the Presidi, including Porto Longone. In 1736, the whole of Elba, with the principality of Piombino, passed under the jurisdiction of Kingdom of Naples. The British landed on the Island of Elba in 1796, after the occupation of Livorno by the French Republican troops, to protect the 4,000 French royalists who had found asylum in Portoferraio two years earlier. In 1801, the Peace of Luneville gave Elba to the Kingdom of Etruria, and it was transferred to France in 1802 by the Peace of Amiens. 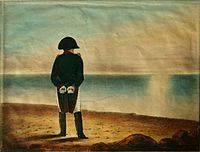 The French Emperor Napoleon was exiled to Elba, after his forced abdication following the Treaty of Fontainebleau (1814), and he arrived at Portoferraio on 30 May 1814. He was allowed to keep a personal guard of 600 men and was nominally sovereign of Elba, although the nearby sea was patrolled by the French and British navies. During the months that he stayed on the island, Napoleon carried out a series of economic and social reforms to improve the quality of life. After staying on for 300 days, he escaped to France, on 26 February 1815. At the Congress of Vienna, Elba was restored to the Grand Duchy of Tuscany. In 1860, it became part of the new unified Kingdom of Italy. The island was liberated from the Germans by the French 1er Corps d'Armée on 17 June 1944, in Opération Brassard. Faulty intelligence and strong defences made the battle more difficult than expected. More recently, the island has become famed for its wine and is a noted tourist destination. The island is connected to the mainland via the four ferry companies, Toremar, Moby Lines, Blunavy and Corsica Ferries - Sardinia Ferries, all offering routes between Piombino and Portoferraio, the capital located in the north, Cavo, Rio Marina and Porto Azzurro, on the east coast of the island. There is an airport on the island, Marina di Campo Airport. It is served by Silver Air with flights to the Italian mainland. The island has a network of trails for road racers looking for more technical routes for their training, trails and dirt roads for bikers to have fun on, and accessible routes for families with children who need safe and relaxing routes. On the road from Rio nell'Elba going to Porto Azzurro is the "Fonte di Coppi". Towards the end of his career Fausto Coppi, the "campionissimo", came here to train on the roads of Elba. He still retained a celebrity status but was no longer at the peak of his career that ended with his death a few years later. The plaque on the fountain reads: "1960–2010, here the champion quenched his thirst, since fifty years on the run". ^ "Istat official population estimates". Retrieved 19 June 2015. ^ "Elba". Parco nazionale dell'Arcipelago Toscano. 16 February 2009. Archived from the original on 28 May 2013. Retrieved 15 January 2012. ^ "The association of continental crust rocks with ophiolites in the Northern Apennines (Italy): implications for the continent-ocean transition in the Western Tethys" (PDF). els-cdn.com. ^ "Elba/M. Calamita" (PDF). Servizio Meteorologico. Retrieved 13 October 2012. ^ "Monte Calamita – Elba". Servizio Meteorologico. Retrieved 13 October 2012. ^ Race, W. H. (2008). Apollonius Rhodius: Argonautica. II. Loeb Classical Library. pp. 654–58, 381–3. See note 95, p. 383 for Strabo quote. ^ "History of Elba Island". elbaworld.com. ^ David, Robert C. (2004). Christian Slaves, Muslim Masters: White Slavery in the Mediterranean, the Barbary Coast and Italy, 1500–1800. Palgrave Macmillan. ISBN 1-4039-4551-9. ^ McGrann, Bill. "Operation Brassard The Invasion of Elba". Peoples' War Stories. BBC. Retrieved 16 March 2010. ^ "Food and Wine". Elba Island World. Archived from the original on 2010-03-16. Retrieved 16 March 2010. ^ "Ferries to Elba". Tuscany Live. Retrieved 16 March 2010. ^ "Ferries to the island of Elba". Ferry Elba Reservation. Retrieved 16 March 2010. ^ "Blunavy ticket reservation (EN)". Blunavy. Archived from the original on 2011-06-19. Retrieved 19 June 2011. ^ "Toremar ticket reservation (IT)". Toremar. Retrieved 19 June 2011. ^ "Moby Lines ticket reservation (EN)". Moby Lines. Retrieved 19 June 2011. ^ "Home – Elba Island Airport". Retrieved 16 July 2016. Chandler, David G. (1990). The Illustrated Napoleon. New York: Henry Holt & Co. ISBN 0-8050-0442-4. Carta, Angelino; Forbicioni, Leonardo; Frangini, Giuliano; Pierini, Brunello; Peruzzi, Lorenzo (2018). "An updated inventory of the vascular flora of Elba island (Tuscan Archipelago, Italy)". Italian Botanist. 6: 1–22. doi:10.3897/italianbotanist.6.26568. ISSN 2531-4033. Wikivoyage has a travel guide for Elba. Wikimedia Commons has media related to Elba.